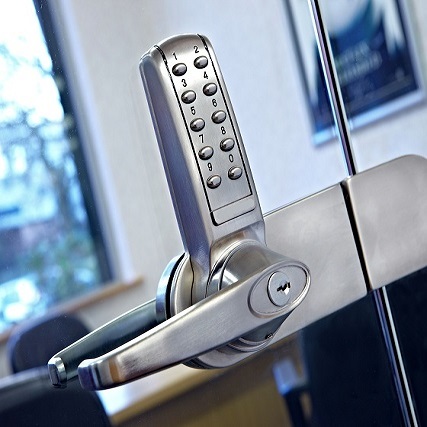 Have you been looking for Atlanta locksmiths that you can trust? For most any locksmith need, from automotive to residential to commercial services, we’ve got the professional technicians with the expertise to get the job done right. Welcome to Reliable Locksmith, a family owned and operated company based in the heart of Dunwoody. Our number one goal is to uphold the values and integrity of a family business while also providing the utmost in customer service. One way we do this is through proper training and vetting of our employees, from the office staff to the locksmiths in the field. Our Atlanta locksmiths are always in the process of continuing their education by staying up to date with certifications. We also pride ourselves on keeping close tabs on the latest in locking technology. For homeowners and residential customers, that means you can count on our team to not only install hardware properly, but also offer you advice from a design standpoint. Matching your new hardware with existing décor can really make or break the overall look of a room, and we’ll help you choose from the best hardware options based on budget, design, and security preferences. With our commercial clients, we strive to meet the strict security demands to protect your business, warehouse, or institution. Learn about the latest in access control technology, emergency exit solutions, and storefront protection. From small boutiques to large scale complexes and buildings, our focus on client satisfaction at a fair price never wavers. Beyond home and office help, we’re also the company you can depend on to help with all of your automotive needs. From emergency lockouts and basic rekeying, to the latest in smart key and onboard computer systems, our team of trained technicians are truly the Reliable locksmiths Atlanta can trust. Atlanta Locksmiths? The Only Name You Need is Reliable! So why trust Reliable Locksmith when you’re looking for the best Atlanta locksmiths? For starters, we are actually certified and trained in all of the services we offer. Be wary of many fly-by-night locksmith companies, who might offer lower prices, but at what cost to your security and peace of mind? With our crews, you’ll not only be dealing with licensed pros, but also have the confidence that you’re getting true value out of the service. With fair pricing, responsive and courteous service, and a commitment to ongoing training and knowledge improvement, you’ll be in good hands anytime you call Reliable. Plus, as we mentioned above, we know all about the latest in hardware, and will make sure you get the best technology from names like Delaney, Medeco, and Schlage. So look no further than Reliable for the best in Atlanta locksmiths. Just make the call to Reliable and let us provide the focused, friendly service you deserve!